Let’s face it there are Star Wars fans, and then...there is you. And you have spent every single Halloween, from as far back as you can remember, dressing as a different Star Wars character. You’ve gone as Luke and Han and Obi-Wan and Chewy. You’ve been Anakin and Padme and a Clone Trooper and Rey. You’ve been Yoda (three times), R2 (twice), and Leia so many times, you can’t even count. So, you know what is amazing about this year? 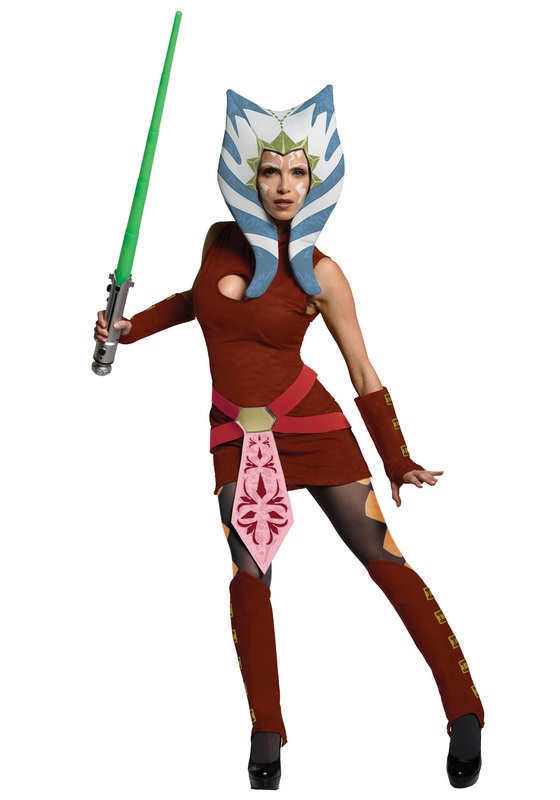 This is finally the Halloween you get to turn yourself into Anakin's star student--with an attitude--and wear this amazing Adult Ahsoka costume. You’ve been waiting to change yourself into this character, but you have never found a good enough costume (you have very high Star Wars standards). But this ensemble is the creme de la creme of Clone-Wars-worthy costumes. The maroon sleeveless dress has attached red belts in front, as well as matching maroon cuffs and boot covers with printed gold buckles. But it is the perfect polyfoam Ahsoka headpiece that makes this officially licensed costume right up your alley. Wearing this outfit, you'll feel the force flow through you; you’ll morph into a master of the lightsaber. This is a great look for any fan of Star Wars: The Clone Wars television series. But “fan” doesn’t even come close to describing you!